IT WAS a redemption song in more ways than one. 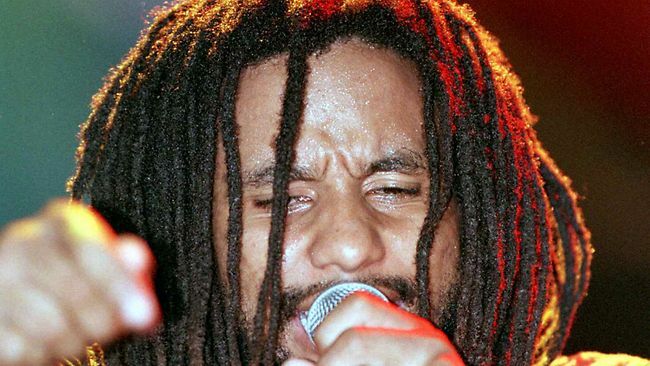 While hip-hop superstar Mary J. Blige was Raggamuffin’s headline act, it was Ky-Mani Marley’s reunion with his dad’s band The Wailers that stole the show. In front of more than 7000 fans at Parramatta Park, the second-youngest of Bob Marley’s 11 children strode to the stage for an afternoon jam alongside his dad’s band. This entry was posted on Sunday, January 30th, 2011 at 12:34 pm	and is filed under Caribbean News. You can follow any responses to this entry through the RSS 2.0 feed. You can skip to the end and leave a response. Pinging is currently not allowed.